Thursday I went shopping at the Spirit of Christmas at Olympia with Karen, Possum, Julie and Laura (she invited herself and we were too polite to say no!!). Got there when it opened at 10am and didn't leave until it closed at 8pm. Had a great day, got a lot of Christmas shopping done. 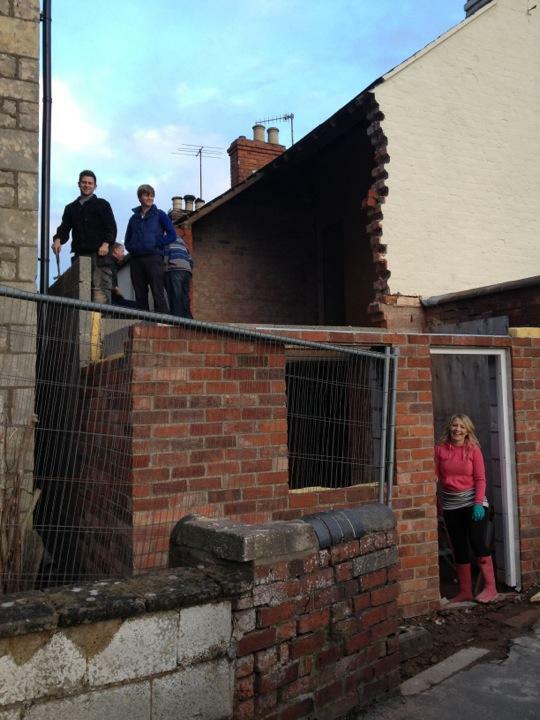 Yesterday, Saturday, we went over to see how Matt and Emily were getting on with their house. It's open to the elements at the back, but the extension is coming up and it should be really good when it's done. Went back to Sue'a for tea. It was snowing by this point. Had a jolly evening and very good ginger cake. Lawrence and Matt went out to a Halloween party in Stroud. 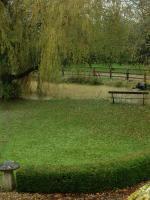 Spent today first of all watching the rain pour down, then the snow, then the rain. 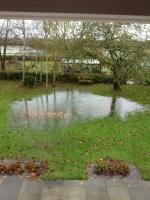 The pond was getting higher and higher and we even had one in the back garden by the apple tree. Dad popped over to Preston to check on the barns, fields etc and rang to say a fire engine was pumping out the Barnet's house so George and I decided we had better go and see if we could do anything. Ollie didn't seem to be able to get out of bed, not interested at all, he was quite safe up in the attic! 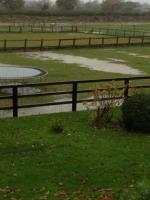 No footie today, waterlogged pitch. 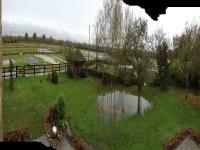 Spent the next two or three hours helping to pump the water out of the Barnet's house. 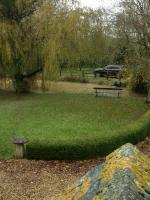 The water was just pouring out of the field across their drive into the house. The fire engine was there for two hours and then had to go Chelworth to deal with another emergency. Ivor and Sue asked if they could borrow the big blue vacuum to pump their kitchen and conservatory out, as the water had got into their house. 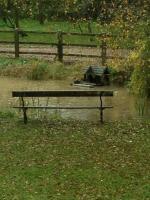 Luckily it hadn't got into Liz and Ted's house or ours, but it has flooded the stable yard and pool table room. George went to see Borgie as the Lock House was about to flood, so the good old fire engine can into its own and saved the day!! Soph wow! missing all the action, how exciting and disastrous! how are the barnetts now? and Ivor and sue? what a pain. suppose it got u all out and actually seeing eachother though!! Excited to see Matt and ems next year!